Baahubali 2 China Box Office Day 1: After shattering the box office records at the Indian box office, Prabhas’ Baahubali 2 is all set to create havoc at China box office too! This SS Rajamouli directorial has released in the China markets and it has already started taking the box office by storm! On the the first day itself, the film has surpassed the opening day collections of Salman Khan’s Bajrangi Bhaijaan in China. Baahubali 2 has taken a tremendous start on its first day! The film has collected a whopping amount of USD $ 2.43 million (16.24 crore) on Friday. It has successfully beaten Salman Khan’s Bajrangi Bhaijaan which had collected USD $ 2.26 million on its first day. With this, Baahubali 2 now stands at the 4th position and Bajrangi Bhaijaan on 5th. The top three positions are ruled by Aamir Khan’s Secret Superstar on first, Dangal on third and Irrfan Khan’s Hindi Medium at second. Satellite Rights Of Race 3, Bharat & Two Other Salman Khan Films Sold For THIS Amount! Secret Superstar had collected USD $ 6.89 million, Hindi Medium had collected USD $ 3.80 million and Dangal had collected USD $ 2.55 million on its first day. Surprisingly, Baahubali 2 has also surpassed Baahubali’s lifetime China Collections on the first day itself. The first part had raked just a pretty USD $ 1.18 million in China during its lifetime. 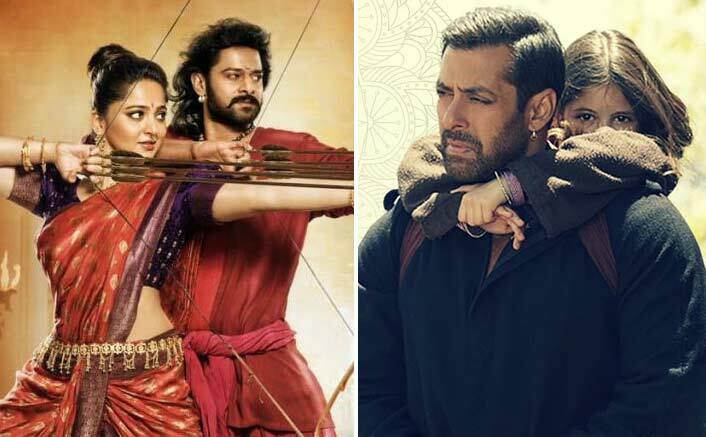 The post Baahubali 2 China Box Office Day 1: Beats Salman Khan’s Bajrangi Bhaijaan! appeared first on Koimoi.